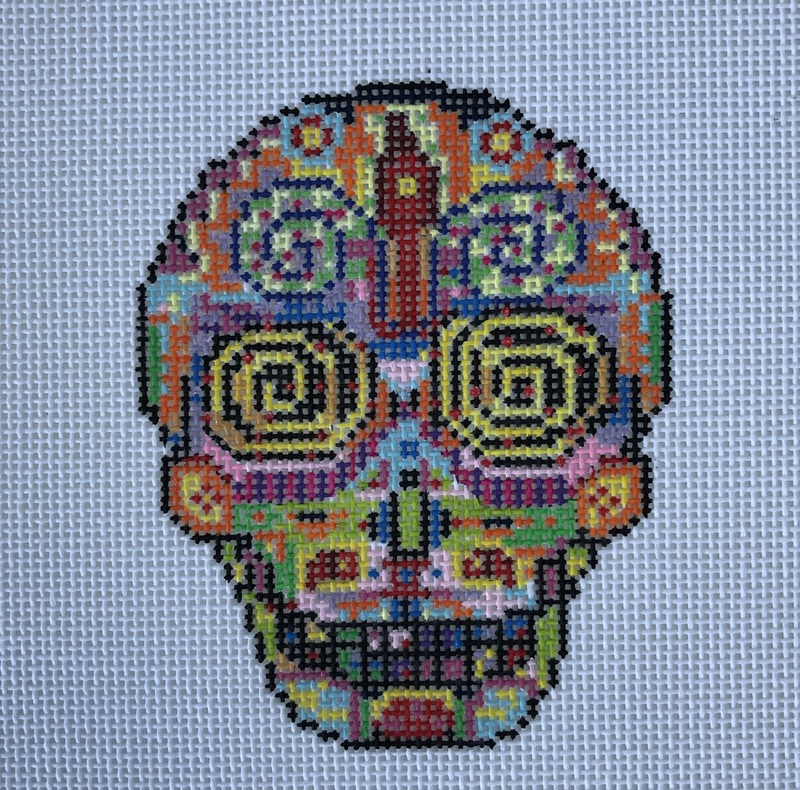 Day of the Dead Number 2. This would make a great ornament or small pillow. Skull is 4" high and 3" wide.Yes it is! Beautifully painted on 18 mesh. The canvas is 7.25"wide by 8" high if you wish to stitch a background.